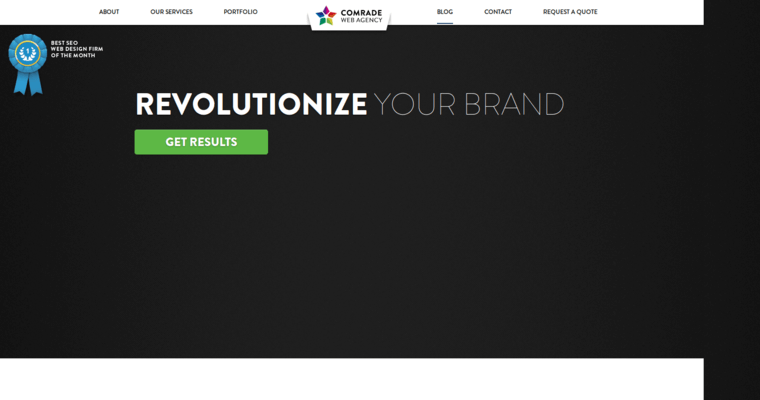 Comrade is a premiere website design firm that also does work in online marketing, branding and mobile app development. Web design and branding are treated as a single entity at Comrade. 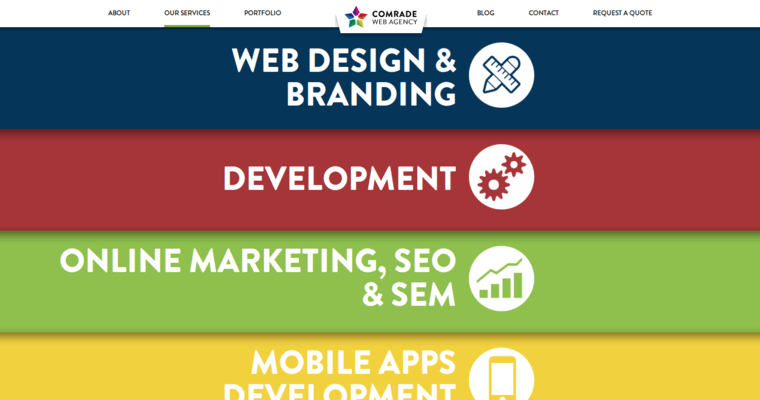 The reason behind treating web design and branding as complementary is that each serves to bolster Comrade's clients online presence and lead generation. Logotype, printing materials and magazine advertising are all handled in-house by Comrade's design and branding department. 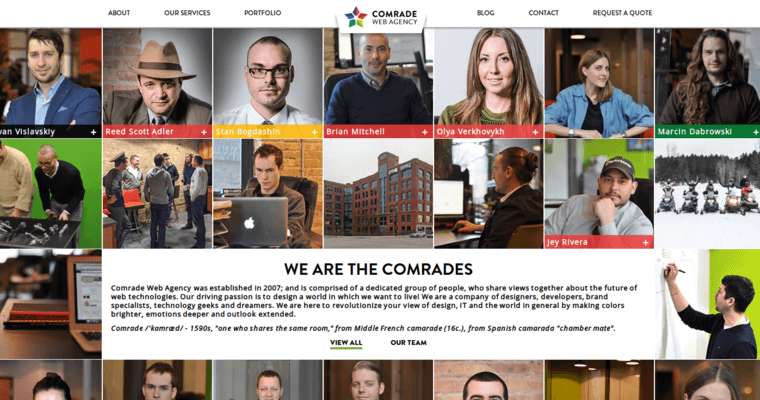 Brand expression that optimizes the client's assets and UX website designs that bring that message to the public are equally important components of Comrade's mission. Local SEO, Organic SEO and targeted email marketing campaigns are the bread and butter of Comrade's marketing department. The marketing team has over eight years of industry experience with organic SEO. All of Comrade's marketing projects come with integrated analytics that work to drive conversion rates and optimize reputation management.